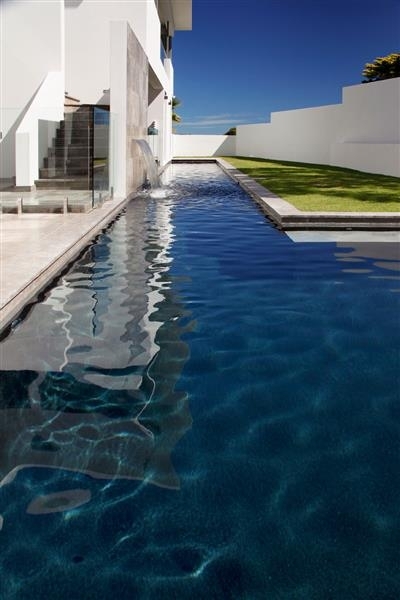 This feature lap pool was built before the home, sitting under the residence. 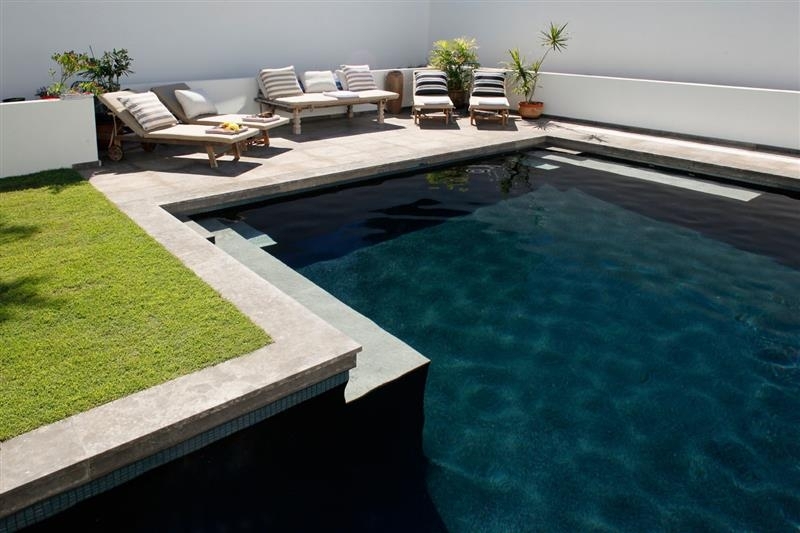 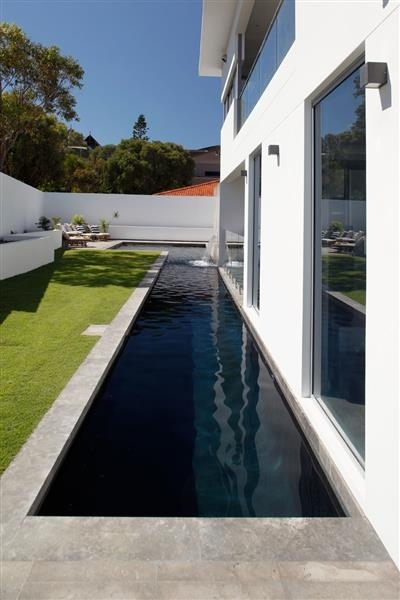 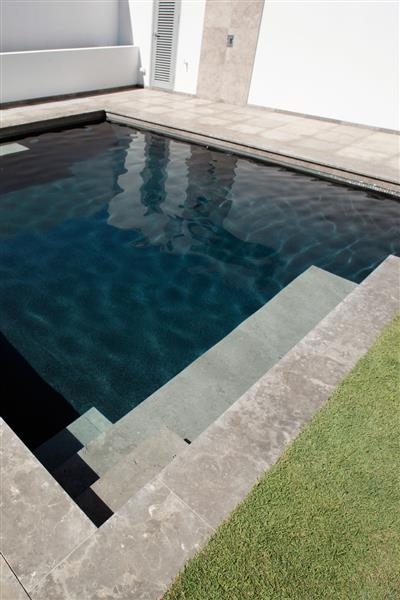 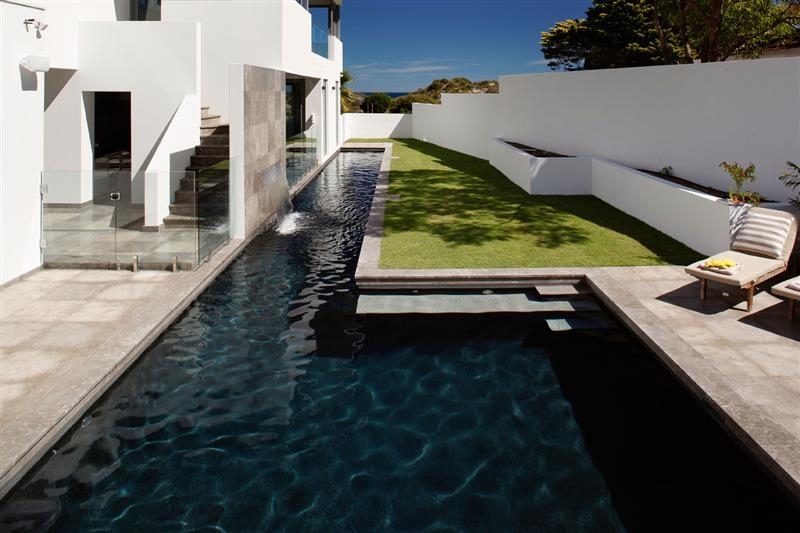 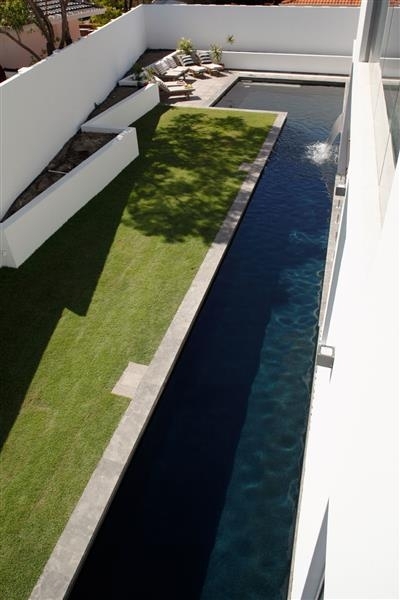 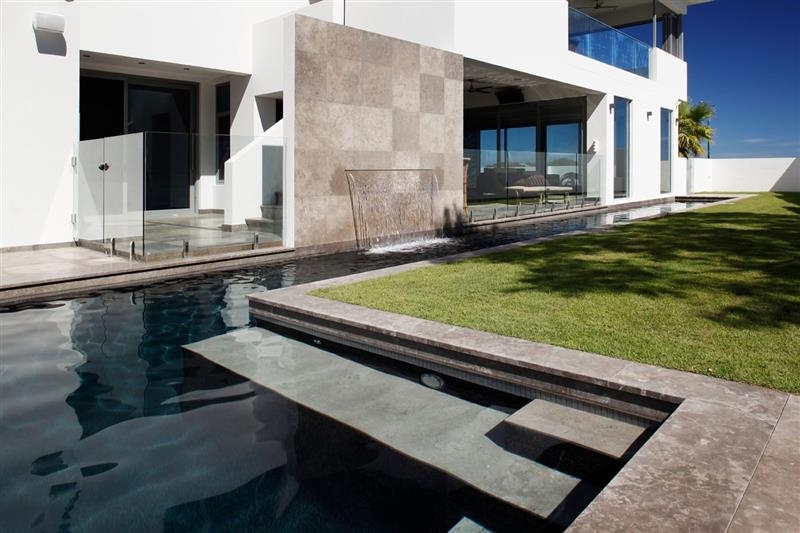 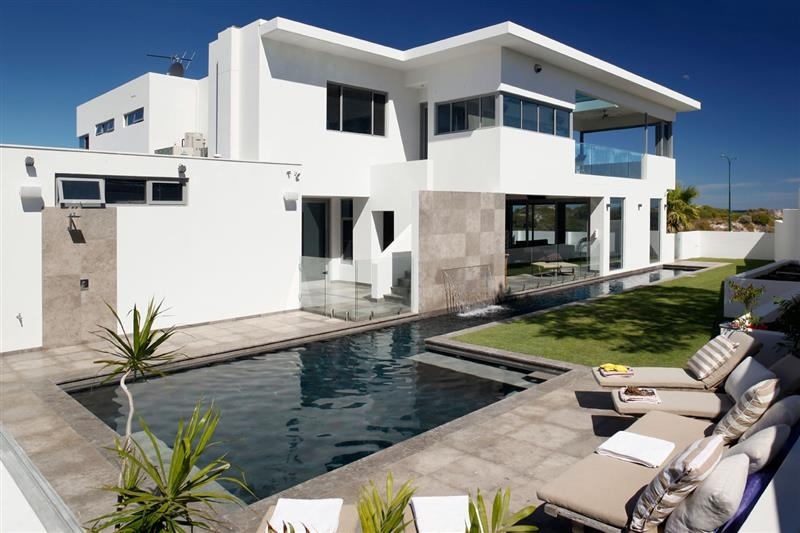 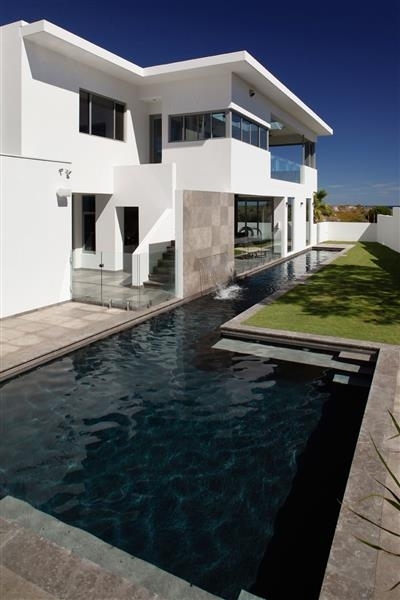 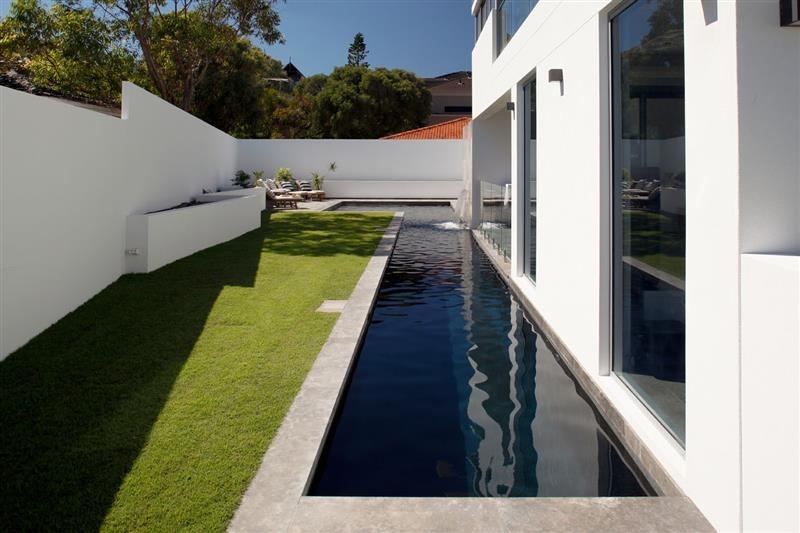 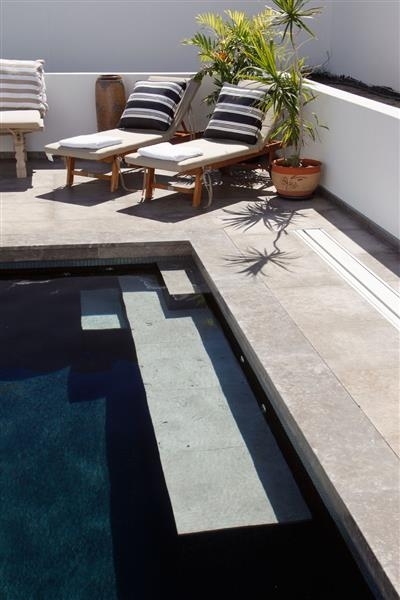 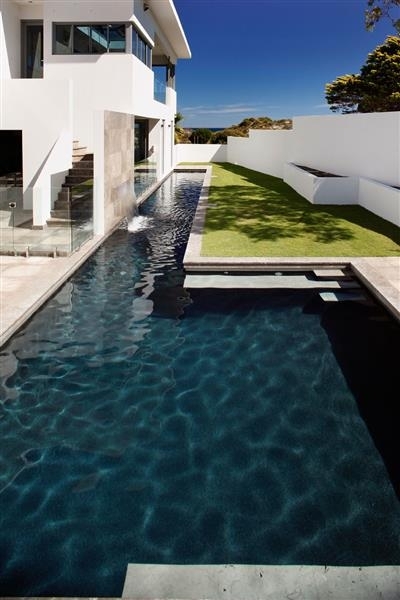 The dark pool colour contrasts the residence, making it pop out visually. 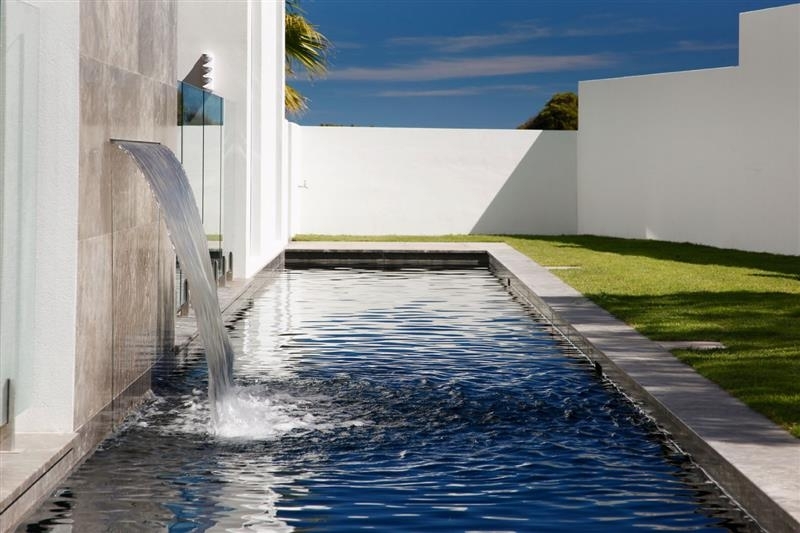 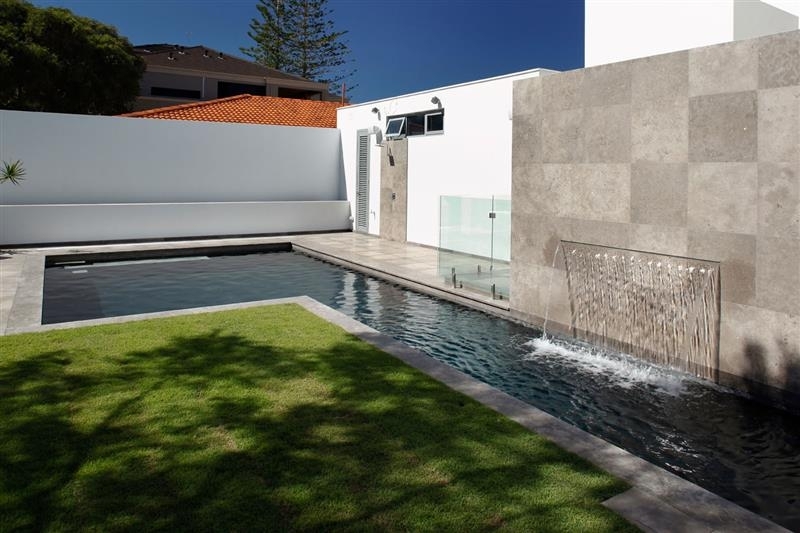 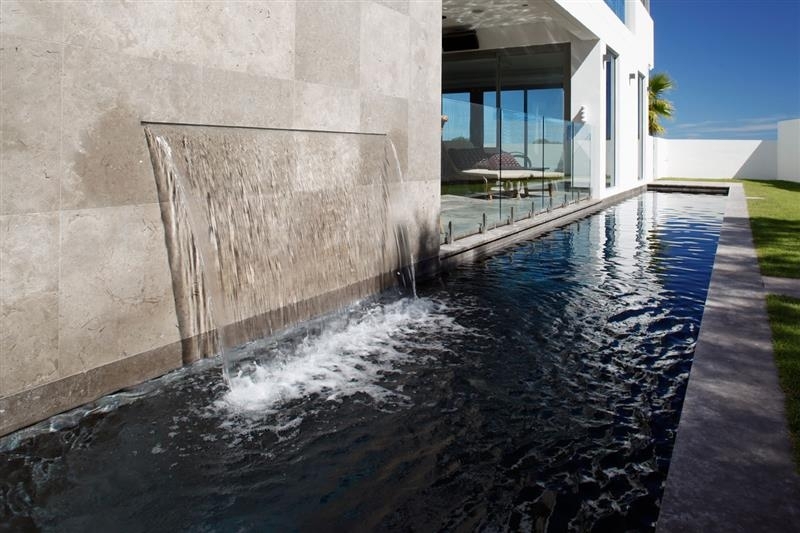 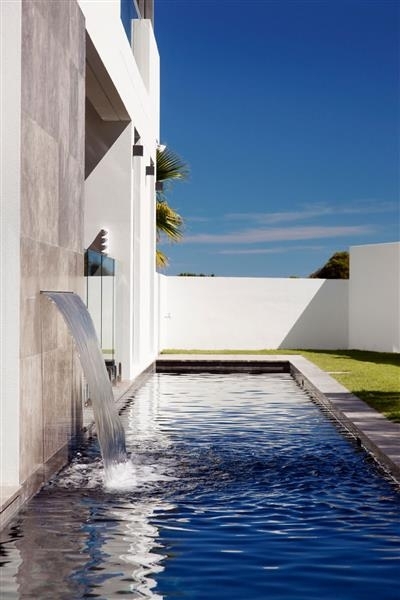 A water feature wall was placed central to the pool, used also as a screening for the steps behind it. 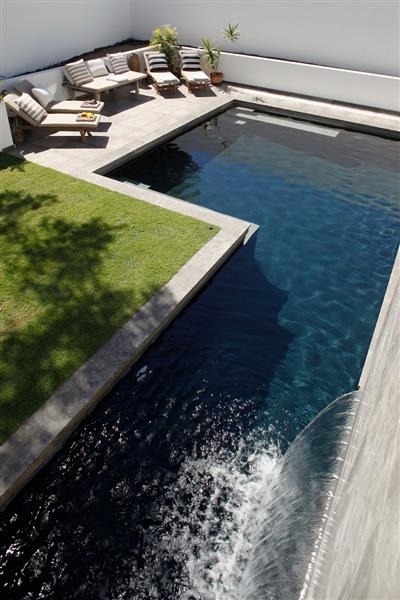 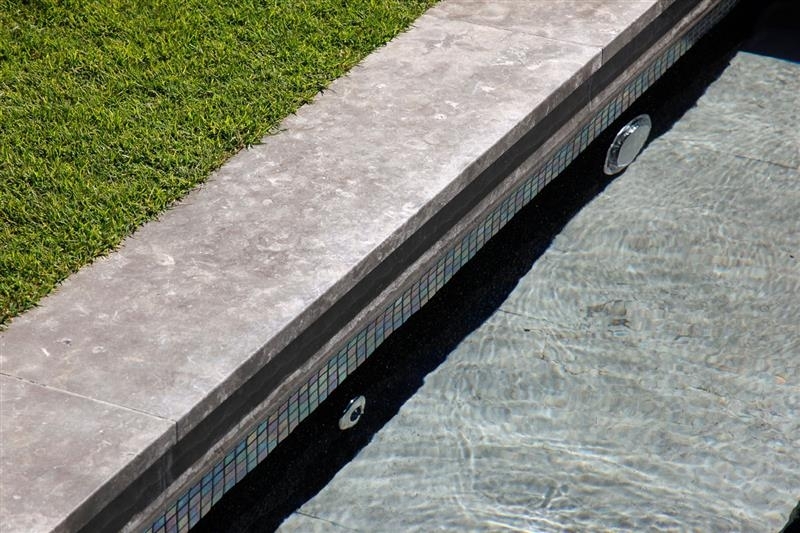 Natural stone paving and greenery around the pool softened the overall view.